Best of the Best for the 15th year! Now for the 15th Year!! Thank You For Voting Us Decatur Daily Reader's Choice Best Of The Best Again This Year! 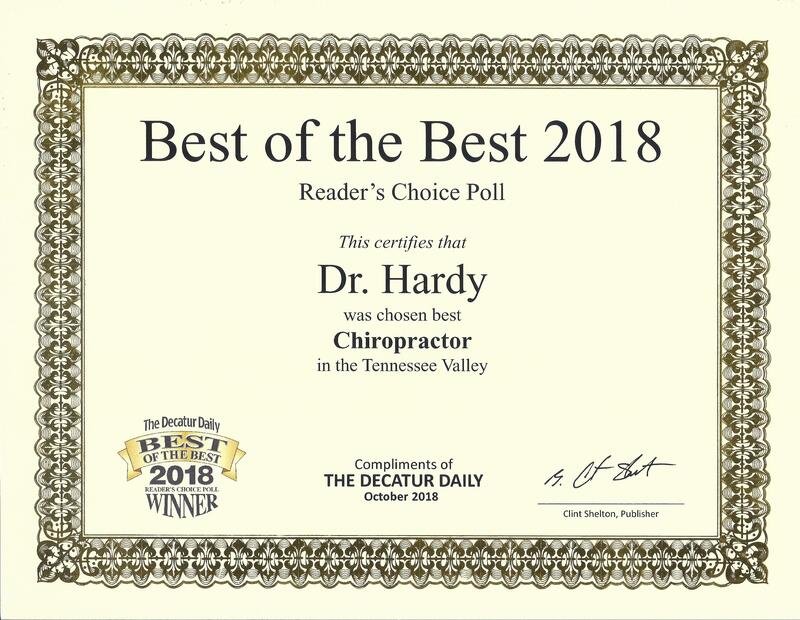 Our goal here at Hardy Chiropractic is to get you out of pain as soon as possible and get you back to your normal routine. Most people are seeking care for pain relief without long-term commitments that is why we do not prescribe lengthy treatment plans. We want you to get the type of care you want. When your pain is gone we want to send you on your way. 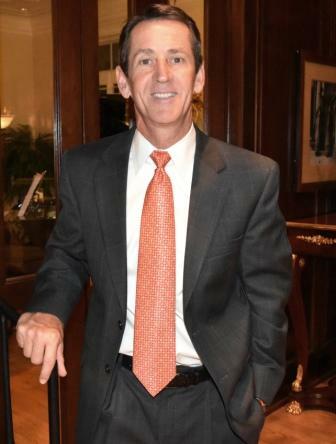 Typically, your first visit to our office takes about an hour and any subsequent visits will take between fifteen and twenty minutes. We know that everyone is busy these days and doesn’t have time to see their chiropractor over and over again. We see patients by appointment, but always welcome walk-ins. We also offer online scheduling that is fast and easy. If you are in pain and want help with your problem, call us today. "Great Service! Friendly staff. My husband and I have gone for regular monthly treatments for 15+ years. Regular alignments keep us healthy!"